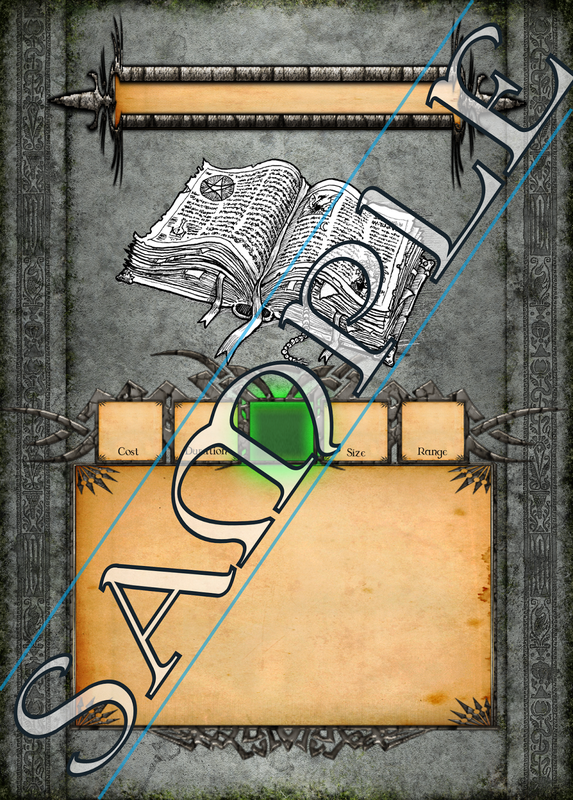 Genius Loci Games: [Quick Note] Commissioned Card Sample! Last night I got my first ever commission gig ... for a custom card template. Below is the second to the final card for the commissioner, the final featured a longer text block and no picture. It needs to be said that all the graphic elements were adapted from a stock collection by Sade over at Drivethrurpg. Learning how to make these types of graphic elements has been something I've wanted to learn for a long time ... maybe its time I start.